Want a deck that shouts out, "Luxury"??? Well, here it is -- we've redesigned our previous edition and wait 'til you see the new version! For the packaging, we've kept the best of the original tuck: Thick black matt stock, gorgeous foiling, and superior detail. Randy Butterfield has refreshed the wrap-around design to suit the new housing. 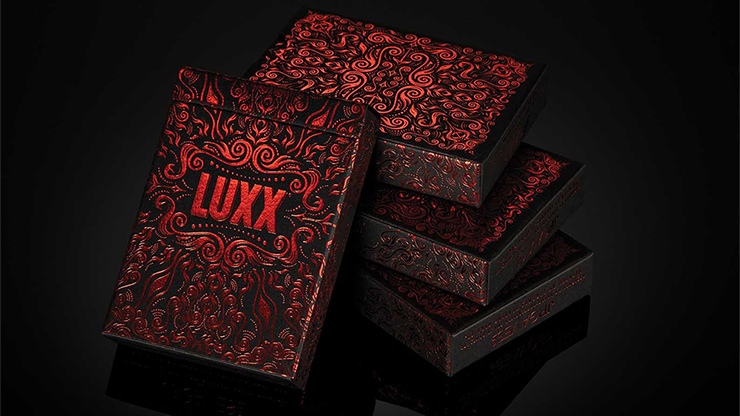 LUXX REDUX features a set of two Jokers, and an all-new design. The back design has been subtly tweaked and improved to show off the now instantly recognizable artwork.